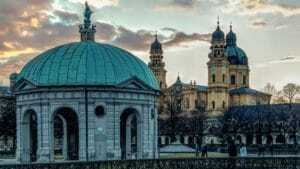 Visit Munich: What are the best things to do and see in the Bavarian capital? After Berlin, Munich is often considered as Germany’s second most important city, or as some put it, the “secret capital” of the country. Loved by both its inhabitants and the visiting tourists, this city is much appreciated for its monuments, amazing museums, and department stores. The city’s architectural style oscillates between 18th-century Rococo and 19th-century neoclassicism. 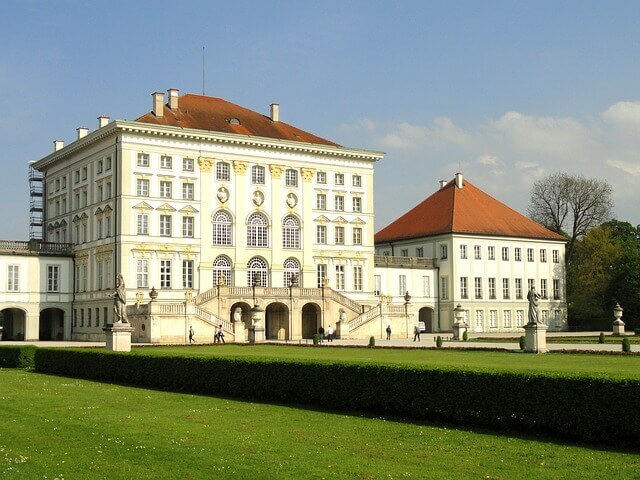 Munich was particularly influenced by the Wittelsbachs family, who spent time at the Nymphenburg Palace (their summer residence) and the Residenz, the former royal palace located in the heart of the city. 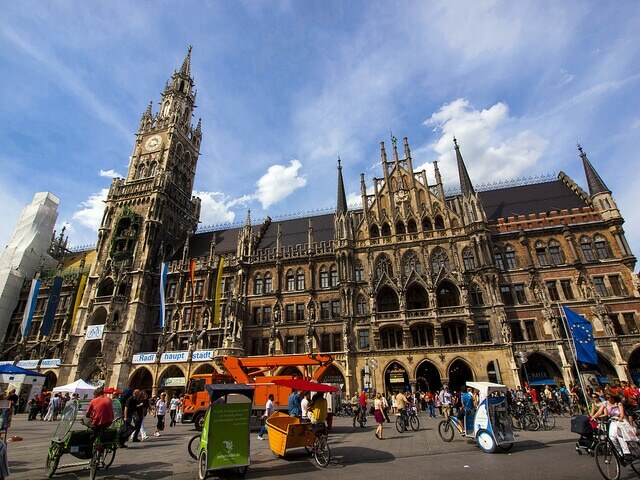 To visit Munich, finally, is to experience the joy of living at every street corner. 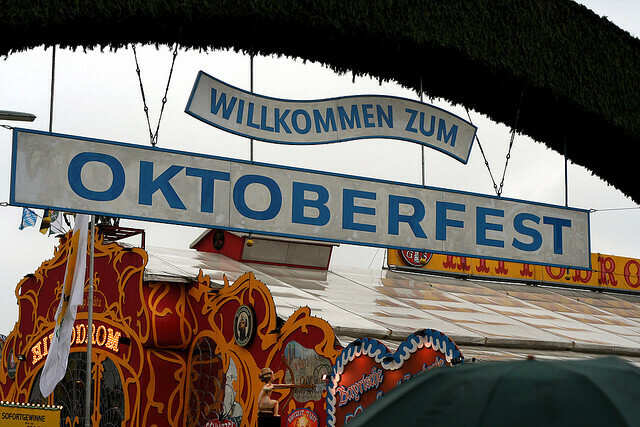 And how could one evoke Munich without mentioning the famous Oktoberfest taking place in October? So what to do in Munich? What to visit? What to see? Here is a small non-exhaustive list of the best things to do in Munich. Note that do not hesitate to rent a bike to discover the city center, the city is full of bike paths to travel and travel in peace. This park is a vast complex that was laid out for the 1972 Olympics. 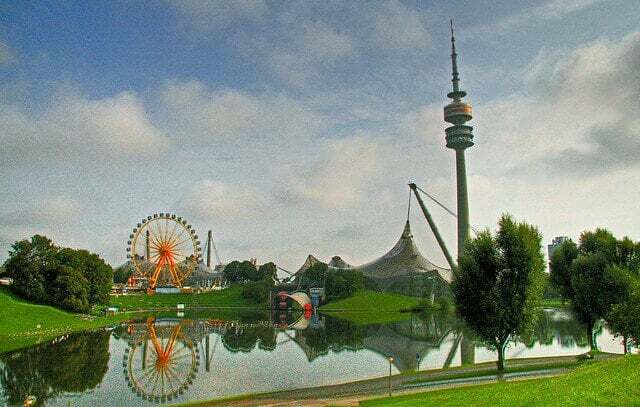 It is recognizable in the distance thanks to its 290-meter high TV tower. Climb to the top to enjoy a breathtaking panorama of the Alps. This central square the historic heart of Munich, home to many buildings and monuments, and a favorite meeting place of its inhabitants. The imposing City Hall built in a neo-Gothic style is the main recognizable feature of Marienplatz. You will be captivated by the City Hall’s clock chimes featuring 43 bells that sounds several times a day. 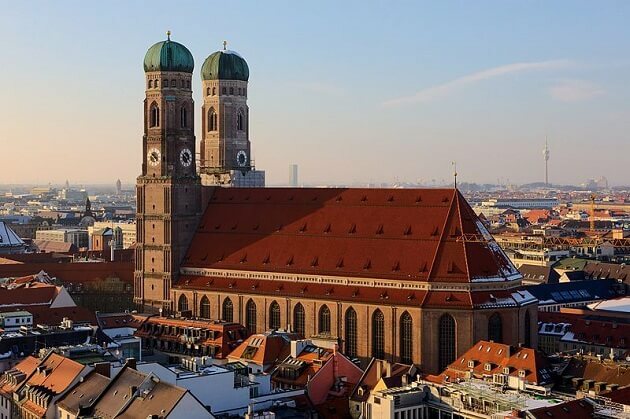 This cathedral is definitely one of a kind, and a definite must-see during when you visit Munich. Easily recognizable with its bell-shaped domes, you will come across the building on Weinstrasse street. While walking along this street, take the time to discover the Theatine Church of St. Cajetan (Theatinerkirche) featuring a typical rococo facade. Don’t miss to see the Teufelstritt (the devil’s “kick” or “footprint”) in the cathedral. According to legend, the devil himself entered this church unseen (so he believed), and thought he could do whatever he wanted. But a ray of sunshine entered through one of the windows and burnt him, leaving a footprint on the floor. 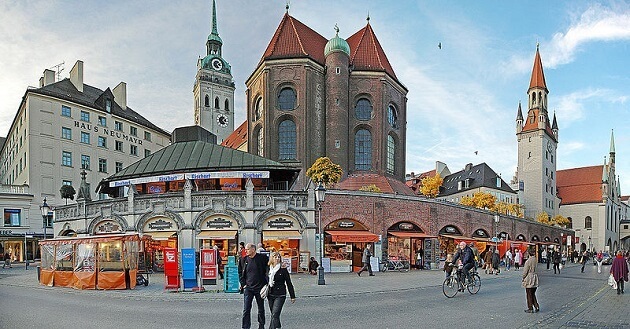 The biggest food market in Munich, the Viktualienmarkt has been around since the beginning of the 19th century. It features a large garden called “beer garden” (biergarten) where you can sit back and enjoy the atmosphere. When you visit Munich, you have to stop by Hofbräuhaus brewery. 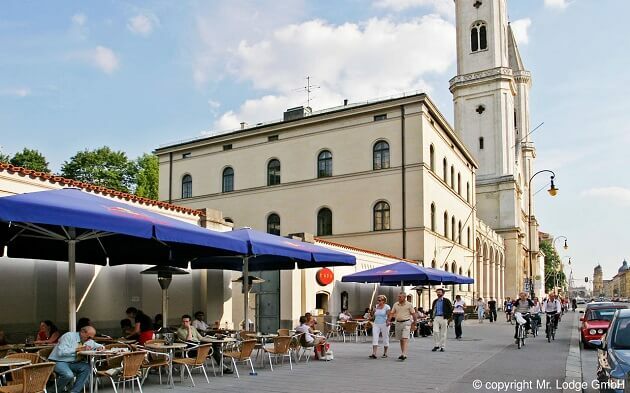 It’s Munich’s authentic “tavern”, the ultimate place to go for beer and eat the best sausage in the city. The brewery welcomes visitors in a large room (which can hold 1000 people) featuring a colourful painted ceiling. Schloss Nymphenburg, literally the “Nymph’s Castle”, is the summer residence of the Wittelsbach family. Allow yourself at least half a day to stroll through this fantastic and gigantic Baroque building, which blends both rococo, neoclassical, and baroque architectural influences. Take the time to explore the Beauty Gallery, the Chinese cabinet, and the garden remodeled in the English fashion. This is the largest museum complex combining both the old museum, and the new art gallery entirely dedicated to contemporary art. 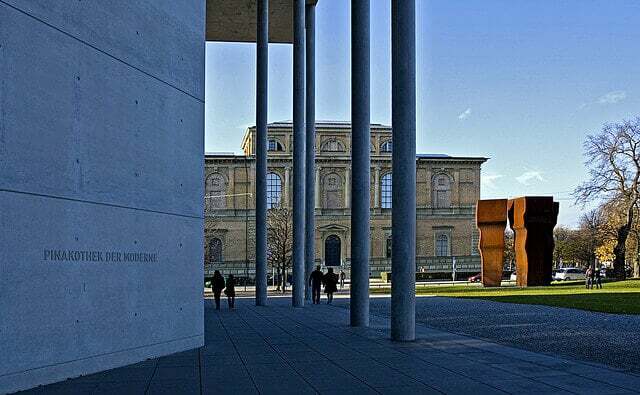 The Pinakothek houses an impressive collection of works, including paintings from the 14th-century painting to today, European art from the 16th and 17th centuries, as well as a profusion of works from the 20th century, in disciplines ranging from painting, architecture, design, and the graphic arts. For all art lovers, this is the municipal art gallery. It owes its international fame to its incredible collection of artworks by “The Blue Rider”, a group of Munich-based expressionist artist who established the foundations of what we now call abstract art. You will discover majestic works by Kandinsky of course, but also Klee or Macke. Königsplatz is a vast public square surrounded by 3 very important buildings, including 2 museums housing royal collections from Antiquity. This square was created by the architect von Klenz. Known for its concentration of museums, it also marks the entrance to the most beautiful districts of the city of Munich. A magical, sumptuous place, and a pleasure to visit. Located north of the old town, this district (named after Maximilian of Bavaria) is sure to delight all vintage book lovers. The neighborhood is packed with bookstores, but also clothes shops, cafes, and quaint restaurants. 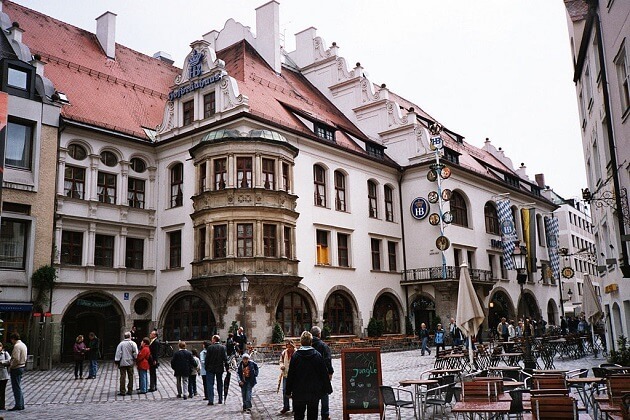 The atmosphere here is so typical of Munich, it’s a must-see! 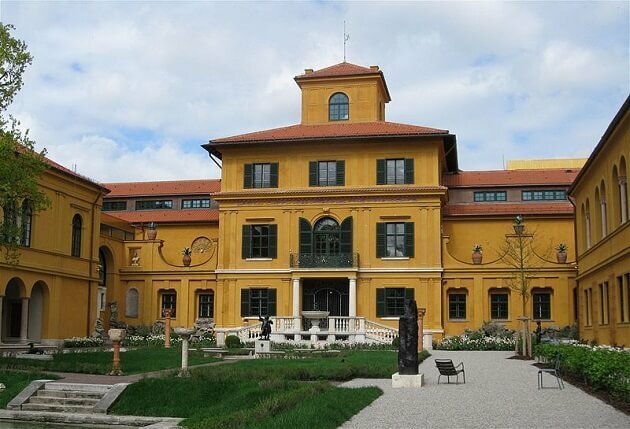 You might not be aware of this, but Munich use to house one of the most important film studios in Europe. Many prestigious directors like Hitchcock, Orson Welles, and actresses like Romy Schneider have worked in these studios, which are still used today to shoot TV series. 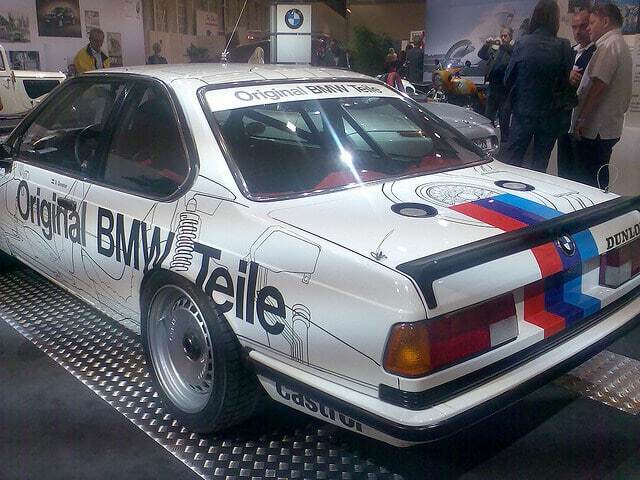 Automobile lovers, you cannot possibly miss this museum dedicated to the BMW brand. The museum traces the history of the automobile from its first models up to its latest prototypes. The museum also focuses on current trends, as well as the impact of BMW in the automotive world and its relationship with ecology. The architecture of the building is definitely worth a visit, especially with its impressive futuristic tower. For a well-deserved break from the city’s bustling atmosphere, why not relax in this beautiful English garden? 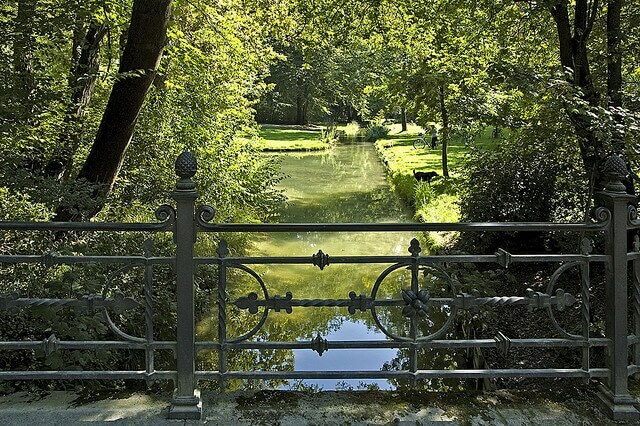 Built at the end of the 18th century, it stretches over nearly 400 hectares. An ideal setting for sports, it’s also good to simply rest on the grass, or to enjoy the place’s relaxed atmosphere while having a drink in one of the park’s beer gardens. This is undoubtedly one of the largest parks in the world. We’ve mentioned it already: this is Munich’s quintessential event, and the perfect place to get a feel of the city’s atmosphere. Oktoberfest is a huge beer festival that attracts each up to 6 million visitors a year, in a very friendly, warm, and family atmosphere. An opportunity to taste regional specialties but also to indulge in delicious sauerkraut and roast chicken. Unarguably one of the best things to do in Munich, Oktoberfest usually takes place at the end of October and the beginning of November. How to get to Munich? Munich has one of the largest airports in Europe, and there are a high number of available flights to Munich. From many cities all over Europe, there is plenty of choice from low-cost to classic airlines such as Air France, Lufthansa, Vueling… To find the cheapest flight to Munich, use Skyscanner. It’s a good idea to stay in Altstadt (old town) and Hauptbahnhof (close to the central station) since both districts are centrally located. The districts of Lehel and Bogenhausen, in the north-eastern side of the old town, are also a good choice for accommodation during your stay in Munich. To find an inexpensive hotel in Munich, search on this hotel aggregator.